Last week, a team of Archdeacon Cambridge’s children took part in the annual Storytelling Festival at Trafalgar School. The children had taken part in auditions in school before Christmas and were chosen to represent Years 1 & 2, Years 3 & 4 and Years 5 & 6. 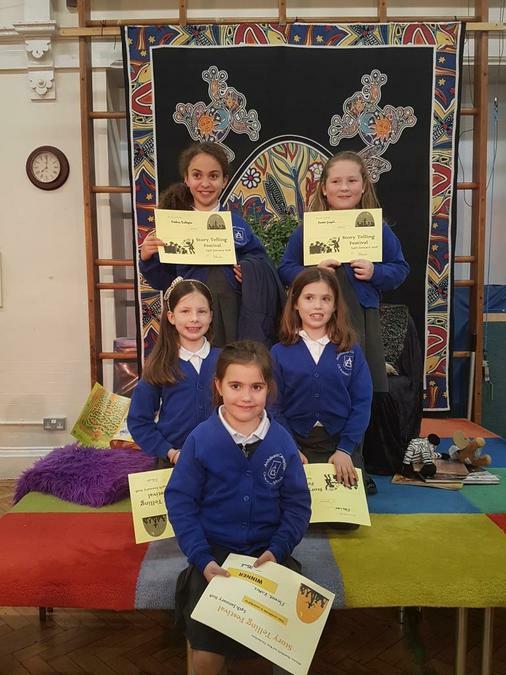 Between them told the stories of ‘Happy Harry’s Cafe’, ‘Little Beaver and the Echo’ and Tabby McTat’ and our Years 1 & 2 representative won First Place. The judges were Tony West from The Alligator’s Mouth Bookshop, Giles Abbott a professional Storyteller and a lecturer from St Mary’s University. We also enjoyed hearing the stories from the other schools taking part, as well as the stories told by professional story tellers, Ghislaine Walker and Giles Abbott during the evening. Our Archdeacon Cambridge Story Tellers also performed their pieces to the whole school during assembly. Congratulations to our team!